Celebrating my 8 year business birthday with a business card re-design by Arrow Creative Design. Eight years later….it’s hard to believe I began mikifoto in 2008. It feels like my business has been with me for a lifetime. But as I look back at my humble beginnings, I can see how much I have evolved and grown. 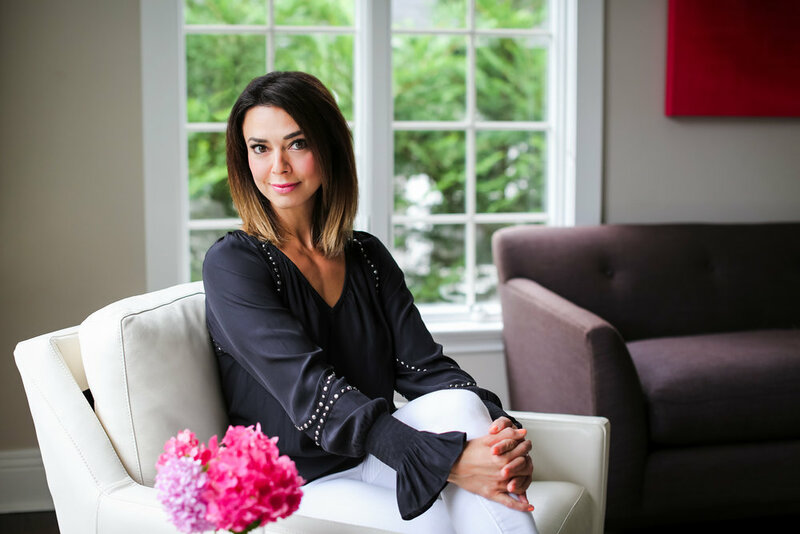 From a Mom with a camera, I have built a dynamic business that now specializes in photography for life and business, visual storytelling, branding strategy and creative workshops. I am proud of what I have created, all while staying home to raise my sons. Who knew that 8 years ago when I picked up a camera to document my sons that I would become a passionate entrepreneur? I had no idea. But that is what is amazing about taking chances and following your passion. You can surprise yourself. You can reinvent yourself. You can grow. As I reflect on my business birthday, I thought I would share eight lessons that I learned during this entrepreneurial journey. Dream big and allow yourself to evolve. You may have started your business in a certain role, but be open to change and say yes to opportunity. Over time, you build new skills and experiences that may take you to in a new direction. I began my career as a child photographer only taking pictures of families and kids. But I was given the chance to be a leader for a women’s entrepreneurial group and that role opened new doors for my business. I didn’t abandon my core business but was able to add another layer to my brand. Keep a journal of your business aspirations or create a vision board to help inspire you. Put your blinders on. We all work in saturated industries. Just in my area, there are hundreds of photographers! And now living in an online world, we are bombarded with what everyone else is doing. It’s easy to feel bad and not good enough when you see all the bright shiny offerings of your competition. I decided a few years ago to stop obsessing about what my competitors were doing and instead focus my energy on creating the best work, experience and content for my audience. Stop stalking your competitors and start serving your customers. Think out of the box. I have had good success creating events, services or programs that were fresh and new to the market. Do the research to understand what your customer needs and then brainstorm new and unique ways to meet them. I created my Get Gorgeous headshot event which includes hair, makeup, styling and photography because I learned my clients wanted the full experience to feel ready for the camera. Look at different industries for inspiration on ideas to implement! Collaborate. This has changed my whole business. Developing strategic partnerships with like minded small business owners has helped my brand flourish. By combining forces with personal stylists, clothing boutiques, hair and makeup talent, social media experts, etc - we work together to create a more robust experience for my clients. Plus, I can spread the word about my brand to my partner’s audience, boosting my exposure. Seek out businesses who share the same values, client profile and common goals. It is so fun to be part of a team! But before you create anything together, make sure to meet to hash out details and to determine everyone’s role. Keep learning. Never stop educating yourself despite how old you get. Invest in a mentor, business coach, classes, conferences, books. You want to become the expert in whatever field you choose. My 2016 goal was to read more business books and I started a Lady Boss Book Club to keep me accountable. Challenge yourself. Invest in yourself. There are so many resources (some free like this) at our fingertips. Network. You need to connect with people and build relationships to grow your business. When I moved to NJ five years ago, I had no clients and no one knew what mikifoto was at all. I joined a women’s empowerment organization, BIG and this was a game changer. I finally found my tribe of women who were also passionate business owners. Find a business group, a Moms group, a mastermind, a local club. Or create your own! Surround yourself with others who inspire you and help you stay on track. Schedule everything. It’s challenging to manage both family and business on one calendar. There never is enough time. I put everything down in my calendar from big picture strategic time to playdates and carpools. I also recommend waking up one hour early to give yourself that extra quiet time. This helps me stay focused and organized. And I make sure to set aside creative time every week as well as self care. If you don’t block it off in your planner, it’s never going to happen. Breathe. Take time to slow down. Reflect. Recharge. Take it all in - your dreams, your journey, your wins, your losses. Center yourself. And exhale! There are so many more lessons that I have learned since I started mikifoto but since I am celebrating my 8th business birthday, 8 is enough! Hope these takeaways help or inspire you. Owning your own business has been an amazing ride! Never easy to balance work and home, but always fulfilling to have the flexibility and creativity to build this business as I envision. Cheers to 8 years.